The combination of too little home insulation and too much air leakage can waste a great deal of energy. That's why home performance experts recommend that air sealing improvements be combined with insulation installation and upgrades. When attic air sealing is combined with an attic insulation upgrade, it's possible to reduce heating and cooling costs by as much as 40 percent. Wouldn't you be interested in cutting your "comfort" costs nearly in half? If you have an unfinished attic, you'll be surprised at how affordable it is to seal air leaks between your living space and the attic and upgrade your attic with blown-in attic insulation. Both energy-saving upgrades can usually be completed in a single day. Contact us today to schedule a free attic insulation estimate for our experts to prescribe the best insulation for your needs. Blown insulation is a great option when insulating an attic. We offer our services in Minnesota & Wisconsin throughout Two Harbors, Nisswa, Saginaw, Duluth, Esko, Superior, Grand Rapids, International Falls, Cloquet, South Range, Carlton, Bovey, Cohasset, Moose Lake, Hibbing, Ashland, and all surrounding cities and towns. 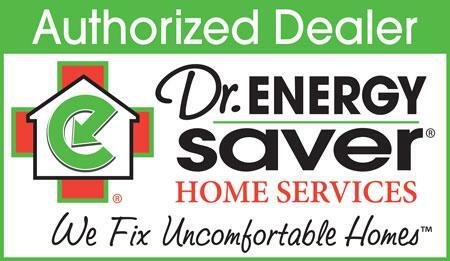 Dr. Energy Saver Solutions, A Service of DBS is the Greater Duluth, MN and Superior, WI Area's trusted insulation company, and we make it easy and affordable to install attic insulation and air seal for maximum energy efficiency and comfort! Looking to install attic insulation in your Greater Duluth, MN and Superior, WI Area home? Schedule a Free Estimate or home energy audit today! We proudly offer a home energy audit in MN and WI to properly evaluate what areas in your home are the source of your comfort or energy problems. Once identified, we will provide the best solutions. Need attic insulation? We provide Free Estimates for blown-in insulation in Esko, Superior, Grand Rapids, Saginaw, Nisswa, Two Harbors, Duluth, Washburn, Britt, Pequot Lakes, Silver Bay, Spooner, Hayward, Aitkin, Aurora, Virginia, and all surrounding cities and towns!